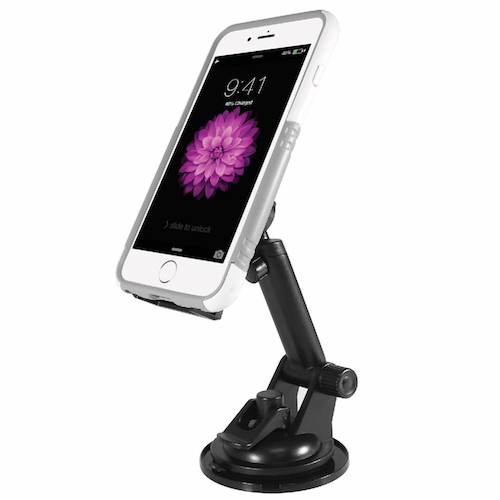 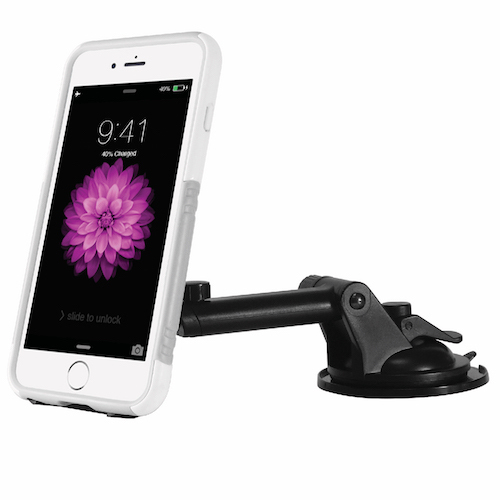 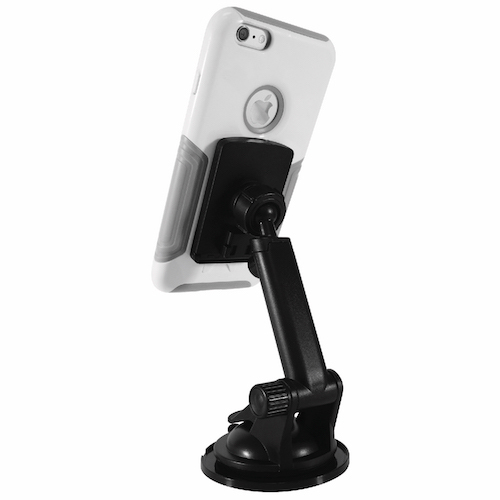 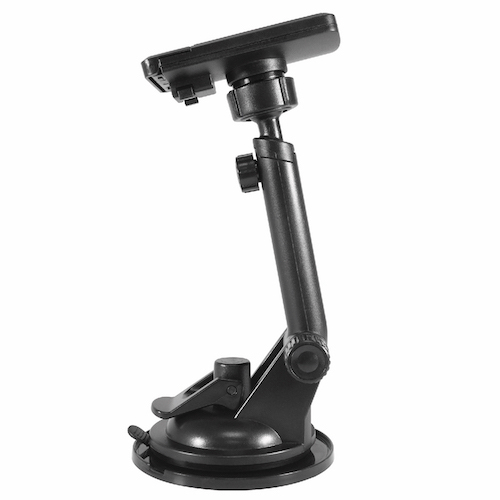 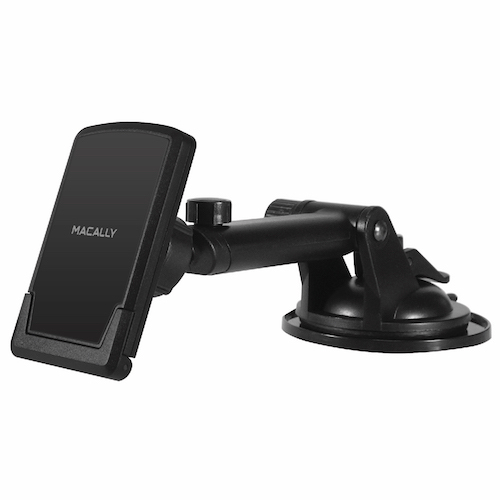 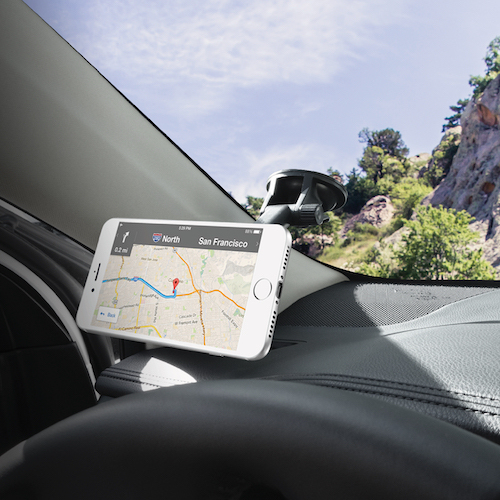 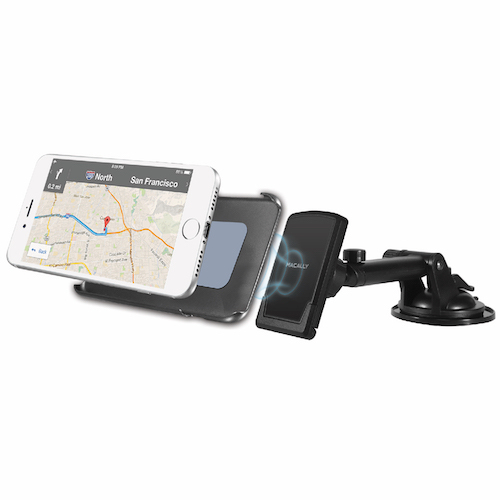 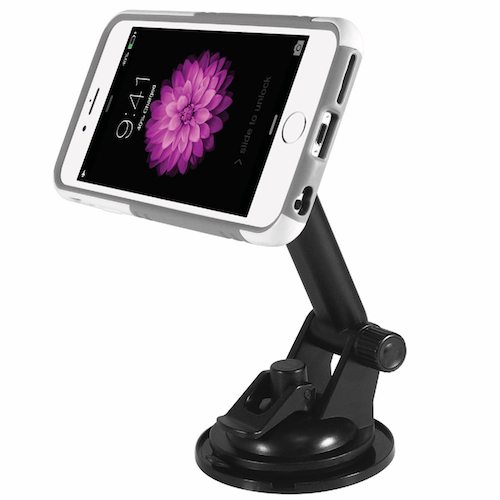 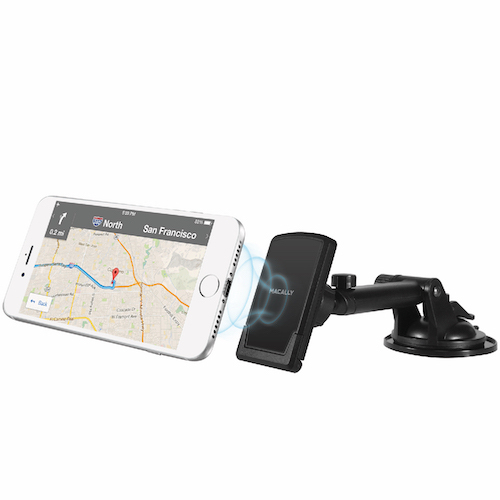 The Macally TELEMAG is a suction cup phone mount with an extendable telescopic arm and a magnetic holder that allows you to use your iPhone/smartphone for hands-free phone calls and GPS car navigation. 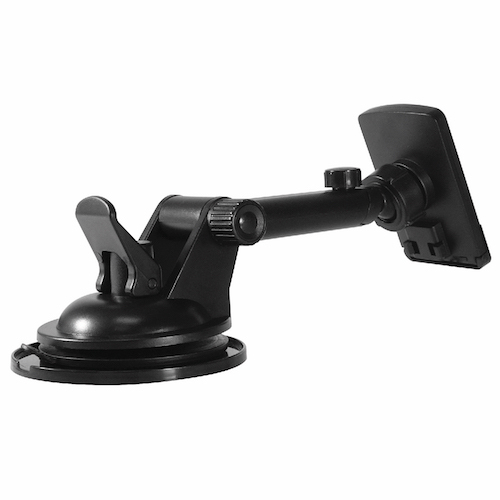 The TELEMAG not only mounts securely to the windshield, but also to the dashboard, with the included dashboard mount disk base. 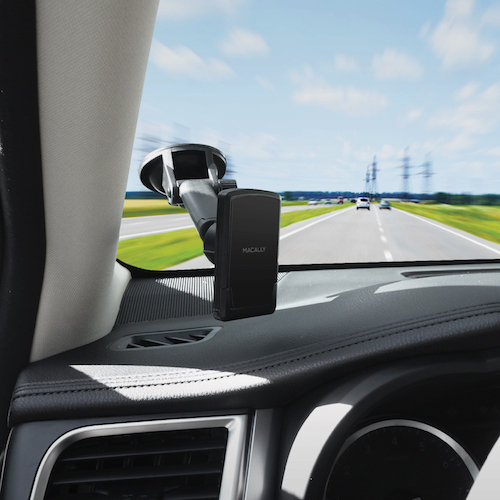 The big advantage of the use as a dashboard mount is that it doesn't obstruct your view while you drive. 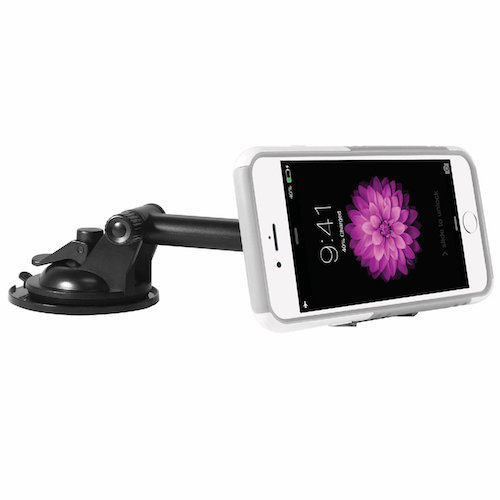 The Macally TELEMAG has a telescopic arm that extends from 4 in/10 cm up to a length of 6 in/ 15 cm to bring your iPhone/smartphone within close viewing distance. 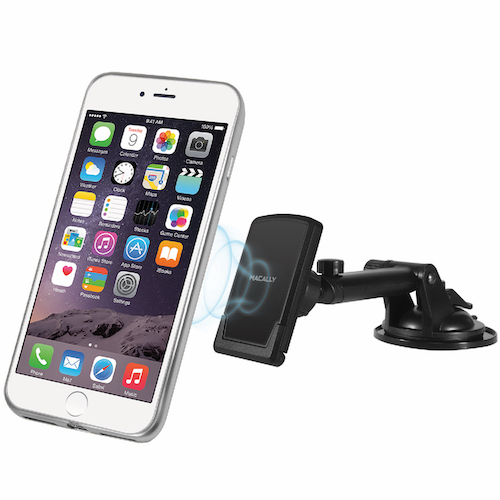 The holder has a 100% safe and 50% more powerful Neodymium magnet to securely hold any size iPhone/smartphone, even while in a protective case. 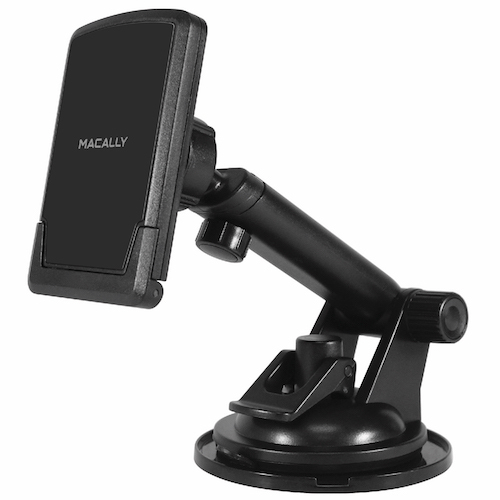 Drive safe with the Macally TELEMAG!